Marble tiles aren’t cheap to buy. So if you have the opportunity to purchase them at a discounted rate, by all means, do it! Before you do, don’t be so quick to make a purchase until you know exactly what you’re getting. Online purchasing has almost become the second option in shopping. In most cases, it’s the first. Window shopping has now turned into Internet browsing, and depending on how good something looks online, there’s just a simple click of the button that’ll make it all possible to have that item at your doorstep in 7-10 business days. Unfortunately, what most people have learned about online purchasing is that what you see online is not always what you purchased, meaning the actual product might be different from what originally was displayed on the Internet. So when you’re shopping online for marble tile, it’s best to proceed with caution. While most builders and contractors might choose to get their marble tile from local buyers, others have taken into consideration the option of shopping outside their geographical region, looking for other marble distributors with a more competitive price. 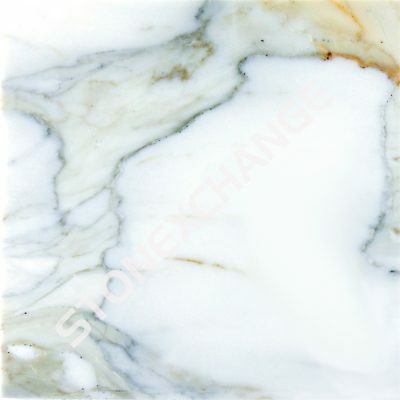 What usually turns buyers away from purchasing marble tile from distributors is the shipping and the unit costs. Somewhere in between, quality will take precedence, but cost will always be the driving factor. Once buyers get out of their head that they can actually purchase their marble inventory outside of their geographical region, the shipping costs become a concern. The overall costs will ultimately depend on the manufacturer. If the marble distributor you choose sells in bulk, believe it or not, your chances of paying a reasonable shipping charge might be cheaper than buying a small amount of marble tiles on an as-needed basis. This is viewing financial matter from a long-term perspective. Buying any type of inventory piece by piece on an as-needed basis will cost you more money than buying it in bulk for more money. While you’re spending more money up front, the savings that you will see in your books will clearly show that buying in bulk is always the smarter business decision, especially if your inventory is a volatile one. Once you’ve decided that you can save some money shopping for marble tile in bulk outside of your geographical region, your search for the right marble tile distributor might become a little more complicated. Now, your search not only involves regional competitors, but national ones too! The best place to look for a good marble tile distributor is in cities that have ports. To get a good quality of marble tile and natural stone, you oftentimes might have to go overseas to obtain it. The most common way quality natural stone will get imported to the United States is by ship. So, if you’re looking for a good marble supplier, look for one that is close to shipyards. Chances are they have an incoming shipment of quality marble and other natural stone tile on a weekly basis. What Does This Have to Do with a Free Sample? An abundant supply of natural stone tile might not put all buyers’ mind to rest when it comes to purchasing a bulk amount of tile. Even if you’ve found a decent marble wholesale distributor that has an ongoing shipment of the finest marble tiles, there’s no way to guarantee that you are getting what you paid for online unless you can see it for yourself. While most buyers can drive to their local supplier, having a distributor that might be halfway across the country could pose some problems in ensuring that they’re getting exactly what they paid for. That’s why Nalboor Tiles, located in Miami, Florida offers buyers the opportunity to get a free sample of any kind of marble tile they are interested in. Nalboor has a wide inventory of marble tile and other natural stone tiles in many color and surface options in different sizes and dimensions. You can order a free sample of these tiles from Nalboor online so that you can have a piece of mind knowing that you are purchasing exactly what you want. These free samples are especially helpful for those daring tiles like Rojo Alicante or even Bianco Dolomiti that has a more edgy and sleek look to it—something that might not appeal to all buyers. If you prefer, you can order a sample of all 5 of our marble tiles to determine which kind would be the best to stock for your warehouse. Nalboor Tiles sells only to building contractors, and serious buyers who are willing to buy in bulk. By purchasing your marble tile inventory in bulk, you’ll also have the opportunity to buy your product at a reduced unit price that will save you money in the future. If you are interested in getting a free sample of any of Nalboor Tiles’ inventory, visit our online catalog. You can order your free sample directly from our website. We also offer travertine tile if you prefer to compare the two to see which one might best suit your building brand. Perhaps you might want to stock both to give your clients an option. At any rate, whichever option you choose, our knowledgeable staff of customer service representatives are on call to answer any questions you might have. Call Nalboor Tiles today at 305-928-76246 or contact us online now.